Four workers were killed in an explosion at the STX Offshore & Shipbuilding plant in Changwon, South Korea, fire authorities said on August 20. 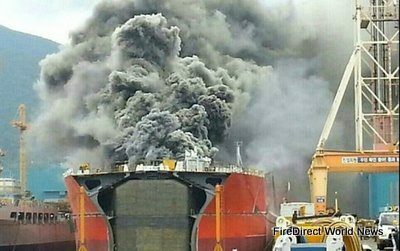 The blast occurred as workers carried out painting work inside a 12-metre-deep tank in a 74,000-ton oil tanker. 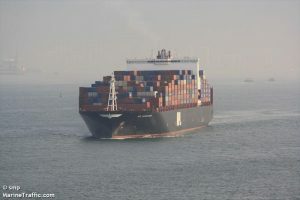 The tanker is on order from Greek company Andriaki Shipping and is due for delivery in October, according to the Yonhap news agency. The Korea Standard said the company confirmed that a safety maintenance manager gave the go-ahead for the painting job as part of normal procedures and that no flammable operations were being conducted in the vicinity. The deceased were employees of a subcontractor and were wearing protective gear, the company said. Local police and fire authorities said they are currently investigating the details of the accident, including the cause. STX Offshore & Shipbuilding is situated in Changwon, Gyeongsang Province, and builds small to medium-sized vessels.